Continuing my quest to "find" 24 observations, thoughts and after-thoughts on Frederic Chopin's 24 preludes op. 28. This is chapter 3 out of 4. 13) I once had a few lessons on the preludes with the late pianist Marek Jablonsky. One of the things that intrigued me was that he liked calling the short preludes (nos. 5, 7, 10 etc) "Interludes”, referring to them as short breaths, quick pauses, or as connecting links between two prominent statements. So now we have "Preludes", "Middle-ludes", After-ludes" and "Interludes" - all have different psychological implications to the piece as a whole. 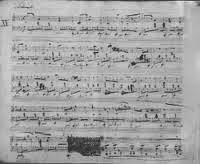 14) Chopin opposed programmatic references to his music. He refuted Schumann when the latter crafted storied around his Op. 2 variations. Chopin saw music as representing abstract feelings and ideas, transcending visual earthly images. Nevertheless two noteworthy musicians - Hans von Bülow and Alfred Cortot - went as far as giving nicknames to each of the 24 preludes. Occasionally the names are somewhat similar, though most of the time they differ remarkably. It is worth glancing at these names. Hans von Bülow, for example, gave the ubiquitous name "Raindrop" to the famous D flat prelude no. 15. He called the succeeding prelude no. 16 "Hades". Alfred Cortot named the beautiful A flat prelude no. 17 "She told me, I love you…", and to the culminating prelude no. 24 he gave the emphatic name “Blood, Passion and Death". 15) As I mentioned in chapter 1 of this endeavor Chopin organized the preludes differently than the way Bach did. Rather than in chromatic order, Chopin organized them according to what we call the "circle of fifths". As such, each prelude (first major then minor) adds one accidental. The result means that the first half of the cycle (nos. 1-13) employs the keys with the sharps while the second half (nos. 14-24) employs the keys with the flats. Since keys to a piece of music is to a large extent like color to a painting, there is a greater sense of spring or sunrise in the first half of the piece while the second half sounds more autumnal, sunset. Melodic: The melody is not on the down beat but rather on the upbeats. It is also toying between being played by the thumb and the pinky. No. 2 - Tonal: Until the very last chord we cannot be sure of the key. No. 4 - Harmonic: The suspensions throughout this prelude with the two note melody hovering above has a great sense of instability. No. 5 - Rhythmic: The constant hemiolas, together with the extreme brevity of this prelude makes the listener feels disoriented and bewildered. Etc etc. 17) The idea ambiguity should lead to further discussion about the enigmatic no. 14 in e flat minor? This prelude is pure anarchy!! It is almost violent - not from anger, but rather from the unknown. It is scary, frightening, and unstable. The pianist Russell Sherman referred to it as music from the under-world. 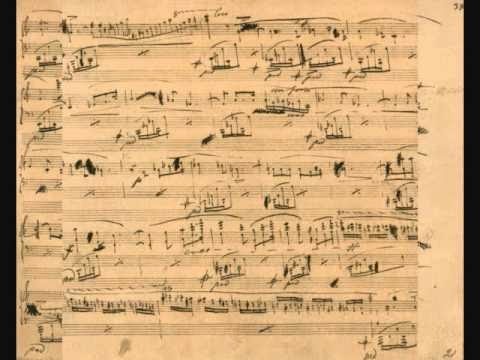 Chopin, the composer that thrived on melodic beauty, sensuality and elegance, the composer that was admired for the suave quality of his sound, his soft touch, wrote here a piece of incredible darkness and menace. The two hands are playing absolutely the exact same pitches an octave apart. Both hands are playing continuous eighth notes, and it is all in the same low "F" clef. A dark shadow. Never has brevity been so brief, and ambiguity been so emblematic. Needless to say, one should compare this prelude to the final movement of another great work by Chopin - the 2nd sonata. 18) “Chopin’s music is essentially unhealthy. That is its imperfection and also its danger”. This comforting statement belongs to Hippolyte Barbedette, a scholar of the mid 19th century who wrote essays on Chopin’s music. 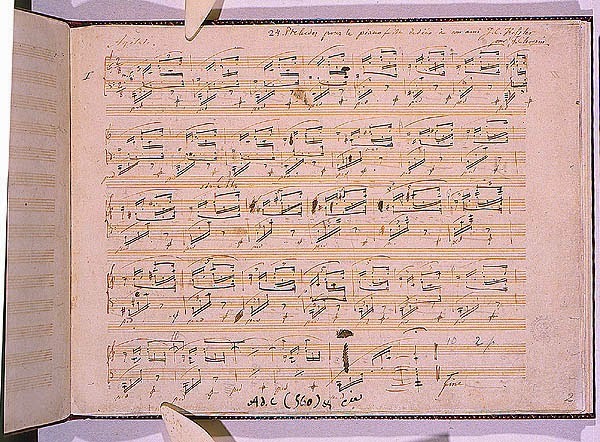 While admiring Chopin's individuality and remarking that the Preludes are “a jewel-box of precious stones”, she also wrote that he was a sick man who enjoyed suffering and did not want to be cured. Furthermore she pointed that by playing his music one will inevitably imagine that the sickness is his own. She concluded with the above quote which I find to be absolutely true - Chopin's music is dangerous to play. It is also unhealthy. These might be two of the reasons why we cannot leave without it. It is intoxicating.